Meet The Best Wedding & Party DJs in Scranton and The Lehigh Valley! We will make your wedding reception or event amazing! Started his career in the early 70’s as a professional entertainer. He traveled the country for years and came to Pennsylvania in 1984 opening Frankie Carll Productions. While performing at many events, he expanded and grew his business into what it is today a Total Entertainment, Video & Photography Business. Frankie enjoys entertaining today as much as he did when he started 40 years ago. We are fortunate to have such an ambitious young entertainer join Frankie Carll Productions. From the very start, Nick showed the ability to motivate a crowd and get into the party. It’s something he simply loves to do. From Bar Mitzvahs, sweet 16’s, and proms to formal dinner dances and weddings Nick has the ability to take charge and get people moving! This is the primary reason he is a highly requested DJ and Team Odyssey leader. JT started his entertaining career over 10 years ago. He developed and honed his skills early in his career with other metropolitan area production companies. JT joined our company last year and has quickly risen to the top of the ranks. JT likes to involve himself from behind and in front of the booth. 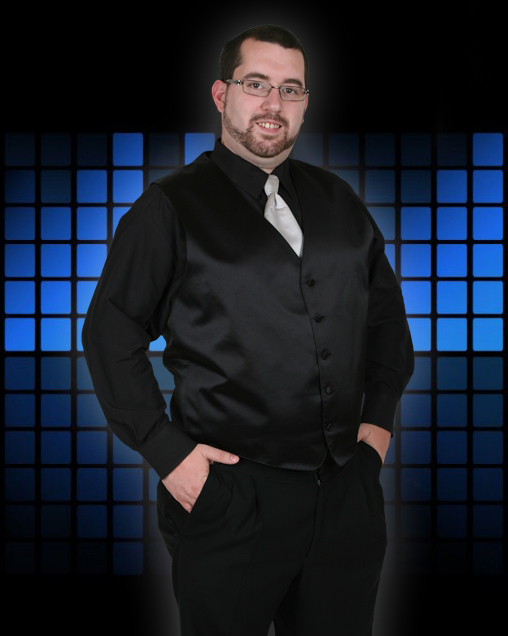 His years of wedding & party experience, entertaining all sorts of crowds makes him a requested DJ and Team Odyssey Leader at Frankie Carll Productions. Colin has been with Frankie Carll Productions for several years and his ability to play to any audience has assured that he will have a long career as a DJ. 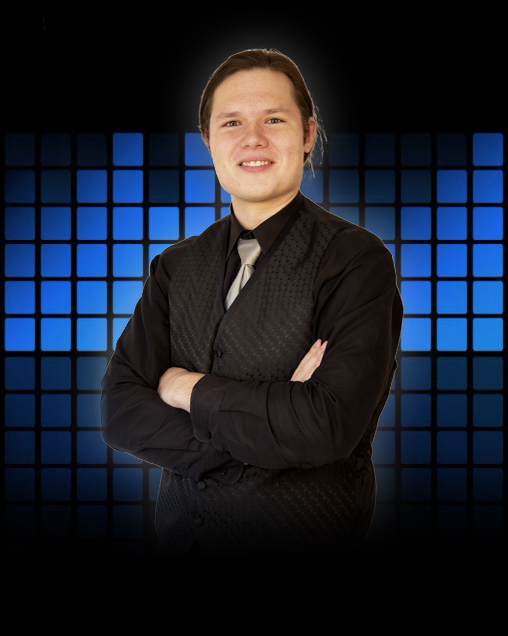 His charismatic personality and extensive music knowledge makes him a perfect fit for any party. 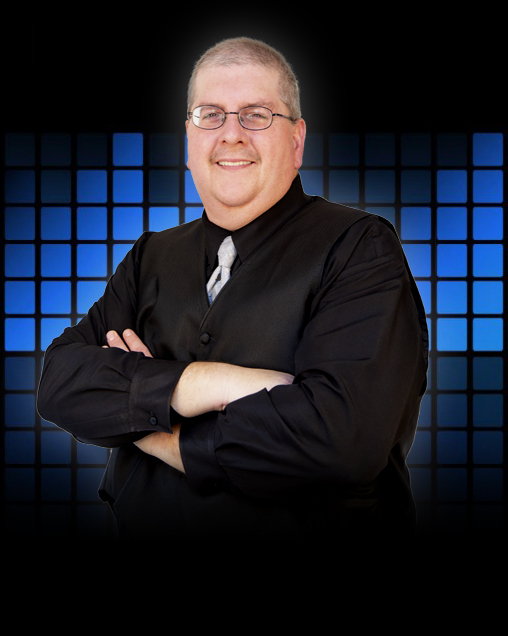 Colin started his career as a local radio personality developing and honing his skills with other area companies. Colin likes to involve himself with his audiences, and always leaves his clients wanting more. Take it from us, it is safe to say few can match the energy Billy O brings to the table. 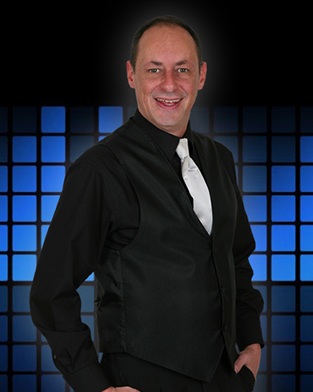 Billy has been a professional performer for over 30 years with over 10 of them spent in the Wedding business as a Mobile DJ. Paired with an extensive knowledge of music and fun loving attitude, Billy crafts a night to remember every time he steps behind the booth. We are fortunate to have such a wonderful employee. Wally G will be the easiest person to get along with you have ever met! He is always a favorite to his clients. Wally started his career with other area companies before joining our team. His can do attitude and willingness to learn have helped Wally adapt to any situation he is put in. Until the dance floor is packed and the party is pumping, this DJ refuses to give up! 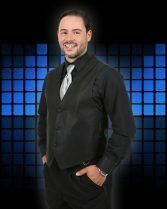 We look forward to a great future with DJ Wally G.
His love for music and entertaining led him join our company. 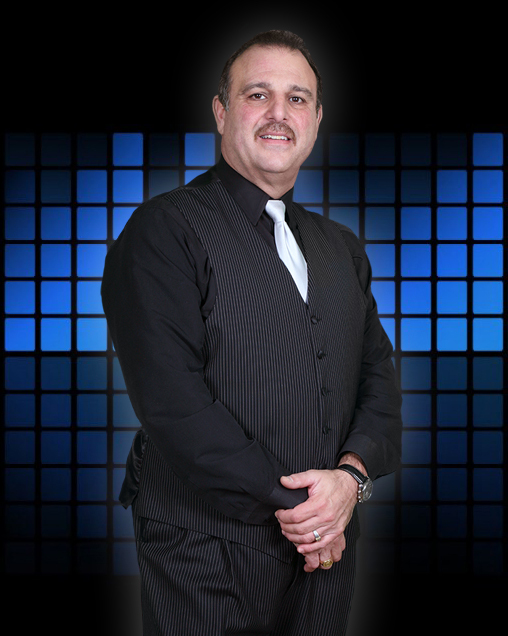 DJ Luis has been a professional DJ since 2002 and his expertise in the wedding business is evident as our clients rave about him. Luis is truly a professional in every sense of the word. We look forward to a long lasting career with this enthusiastic performer. 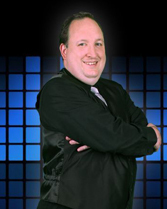 Enthusiastic, Entertaining, and Professional, these are only a few words that describe DJ Lenny C. A very talented individual, Lenny began honing his craft as a comedian and truly enjoys entertaining others. Once comfortable with a mic in his hand, he combined his stage presence with his love for music. Now being a DJ is his true passion! Lenny C is eager to leave every party satisfied, and has being doing just that with us for the last few years. We hope to enjoy a great future with such a stand-up individual. 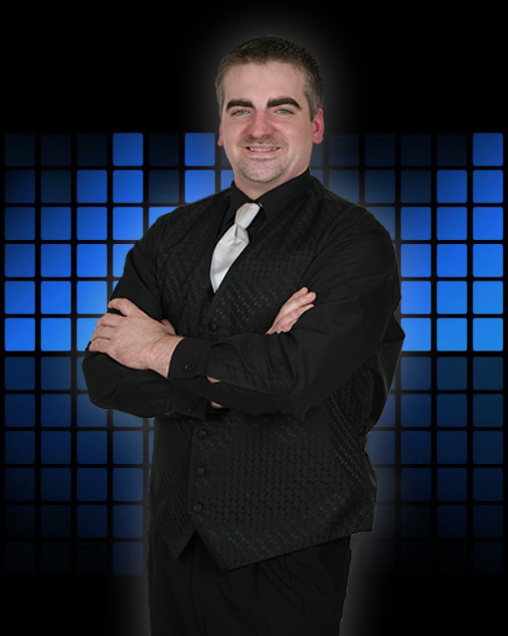 Lovingly known as “Jake, Rattle, & Roll,” he is a crowd favorite among our DJ’s. His dynamic personality and love for music makes him a force behind the 1’s and 2’s. We are certainly lucky to have him working for our company. Jake’s can-do attitude helps him combine everyone’s favorite songs ranging from Top Hits, to Hip-Hop, to Motown, to the great Frank Sinatra. We look forward to many great years working with DJ Jake. 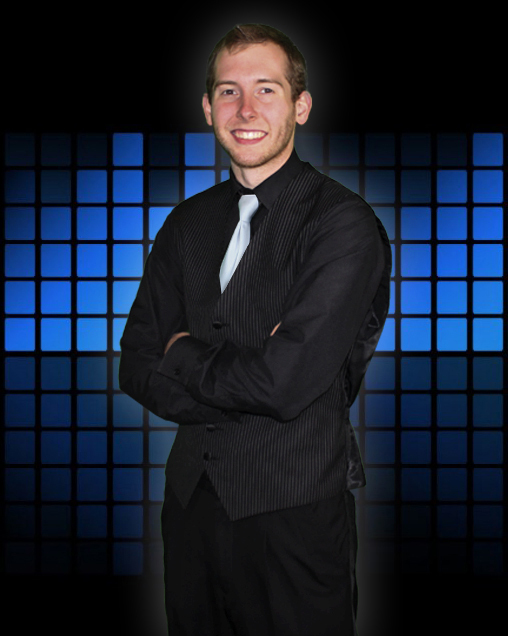 to reserve a DJ for your event! Contact Us!